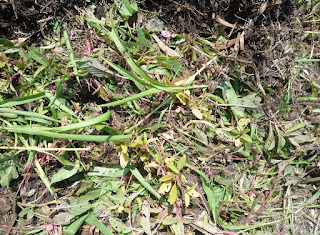 Six weeks after sowing, the green manure crop was up to my knees and ready to be dug in. It was my first go at green manure so I'm hoping I got it right and that it makes a difference to the fertility of the soil. For the seed mix I used some chook feed, a jar of sunflower seed saved in previous years, excess snake bean seed, amaranth seed (pretty sure I'm never going to need to save any again) and lettuce (ditto). 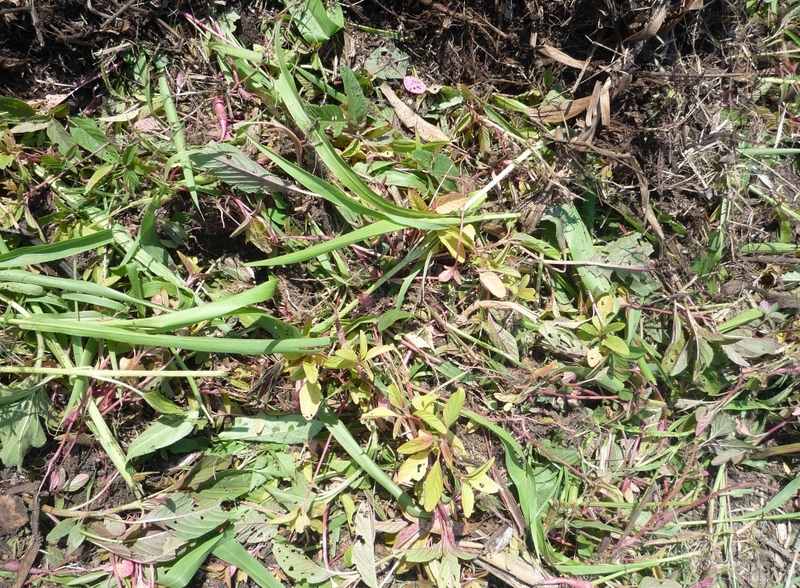 If I were angry at something the process of cutting down the crop would have been rather cathartic. As I'm in the middle of a long holiday and have successfully avoided the zombie Christmas and Boxing Day shopping, car-park poaching hordes, I instead felt a little regretful about destroying the lush growth. 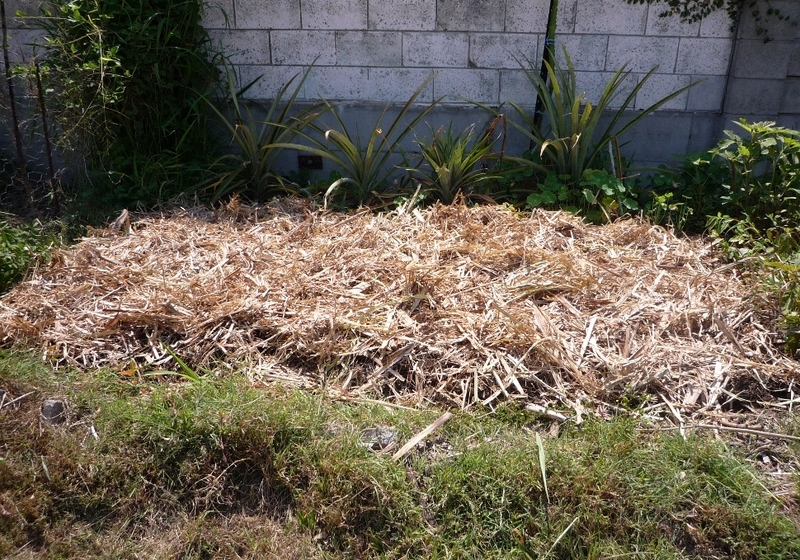 After swinging back and forth with my hoe, chopping and thrashing about, the crop finally lay flat on the bed. Being the middle of summer it was far too hot to even think about digging it in. That and I've broken all the tines off two garden forks trying to dig the clay in other parts of the garden, so for now spade, hoe or mattock are my only tilling options. 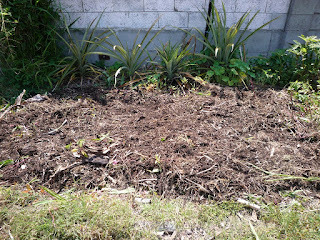 The compost heap was also ready and had been sitting there waiting to be used, although I was a little disappointed to see how much the pile had deflated from its initial monolithic mound. I needn't have felt that way because there were three full wheelbarrows to spread out over the bed. Beautiful, dark, humus rich compost. 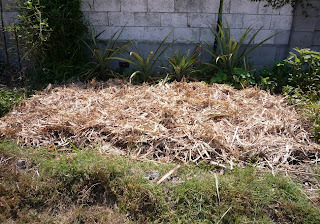 Finally, I topped the whole lot off with sugar cane mulch to protect it from the blazing sun. 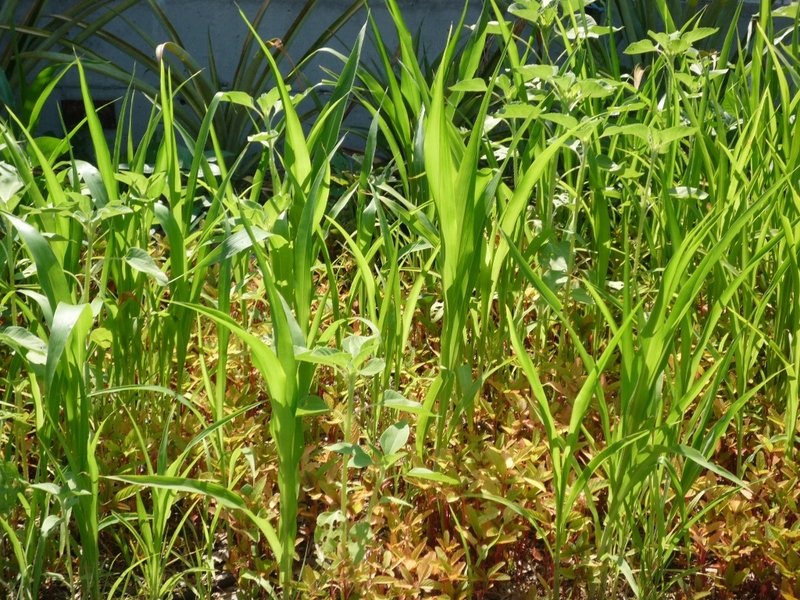 And yes, the edge of that bed does need some weeding. Let me know if a certain mix of seeds works better for you or if you have any tips for my future green manure crops.